Contrary to popular belief, "budget" is not a dirty word. It is not a financial restraint designed to keep you from having any fun. 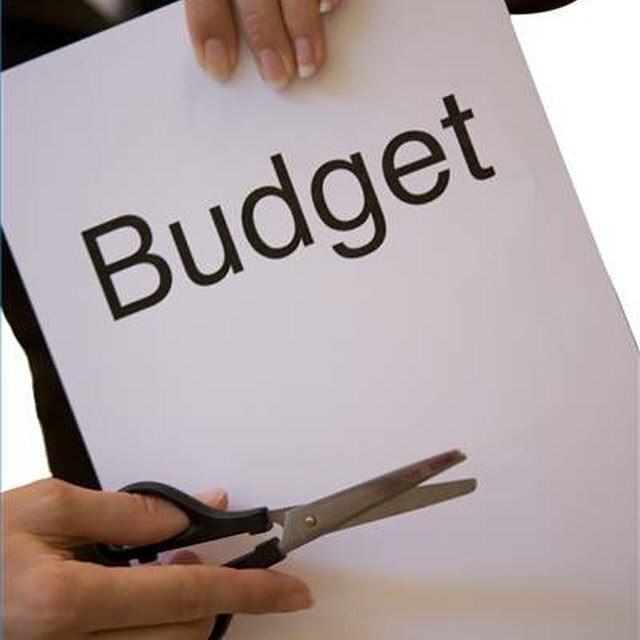 Instead, a budget is more like a road map designed to keep you out of the financial ditch. Creating a monthly budget that works for your situation isn't hard, but it does take a little time and honesty. A budget is like a road map that can help you get from Point A to Point B, but before you can create that road map, you have to know where Point A is. Financially speaking, Point A is a combination of your net worth and cash flow. Figure your net worth by creating a two-column list. In one column list all of your assets, such as the equity in your home, savings accounts, investments and real estate. In the other column list all of your liabilities, such as the balance owed on your mortgage, student loans, credit cards and car loans. Total both columns and subtract your liabilities from your assets. Whatever is left is your net worth. This should give you good idea of your financial strength. If your assets are greater than your liabilities, you're on strong financial footing. If not, you should try to be conservative in your spending. Your cash flow statement is similar to your net worth statement, but is broken down to the monthly level. Create a new two-column list. On one side list all of your income from all sources, such as wages, investment income and interest. On the other side, list all of your expenditures for the month, such as your house payment, utilities, food, debt service and entertainment. Total up both columns and subtract your expenses from your income. The result is your cash flow. This tells you how much discretionary money you have to work with. You might not have as good a handle on your expenses as you think you do. Before you create your budget, it helps to keep an expense diary for a few weeks. Carry a small notebook with you and write down every purchase you make during that time period. At the end of the period, add up all of your purchases by category. You might find that you are spending a lot more on eating out, or gourmet coffee, than you thought you were. A spending diary will give you a more accurate picture of how you actually spend money on a daily basis. Once you've created your net worth sheet, your cash flow sheet and your spending diary, you are ready to make a budget. Start with the total amount of income you have available for the month. Next, list your living expenses starting with shelter, utilities, food and transportation. Subtract these expenses from your income. Next, list your financial obligations, such as loan payments, insurance premiums and credit cards. Subtract these expenses from your income. Last, list discretionary expenses such as entertainment, eating out and clothing. Don't forget to include money for savings. Most financial advisers suggest that you should save three to six months worth of income in an emergency fund. Keep track of your monthly expenditures. If you find that you are spending too much, decide which areas you can cut back on and make adjustments as needed.